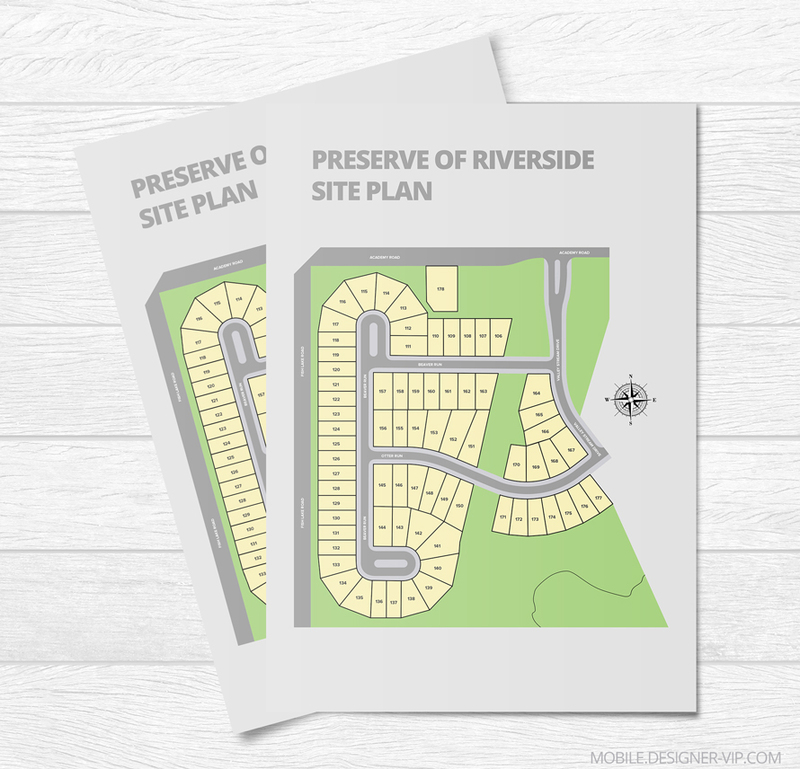 Subdivision site plan design Riverside. I would like a presentation site plan created from two pdfs of an engineers site plan. – AI file of a presentation quality subdivision site plan similar to the one listed in your portfolio created from two pdf drawings of an engineers site plan (one overall plan required of the two pages). – Drawing to be layered according to different colors. – Client Branding to be included in presentation (logos to be provided). If you could fill in the vacant spot on the top with the green (even though it is not part of the site). Thank you for your response. I have attached the two pages of PDF’s for this project. They are all that we have of this subdivision. I would like something very similar to the Subdivision Site Plan you have in your portfolio. Please let me know of any questions you might have to better understand the project. Created high quality real estate lot map vector (land lot map) in Illustrator format (Ai, eps, pdf) for a company with turn round – ~3 days. Feedback from client: Vitalij was very easy to work with and able to complete the job quickly, accurately and with very little oversight. I will hire him again in the future. If you need a real estate map designed for your company our studio can help.